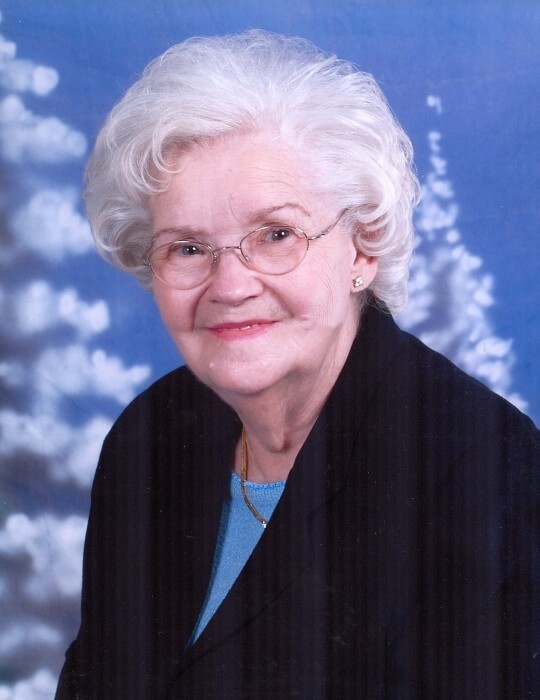 Mrs. Frances Geneva Wilson “Nannie’ Miles, age 85, of Dalton, GA, took her heavenly flight on Tuesday, September 4, 2018 surrounded by her family. Frances, known to most as ‘Nannie’, was born in Flat Rock, AL on December 24,1932. The daughter of the late James Olen Wilson, Sr and Cynthia Emma Dover Wilson. She was raised in Trion, GA, moving to Dalton in the early 1940s. Nanny was a lifelong member of the Church of God of the Union Assembly. She worked for many years at Crown Cotton Mill until they closed and then for a period of time she worked for Southern Bell Telephone. She ended her career with Shaw Industries until the time of her retirement. Nannie is survived by two sons and daughters-in-law, JC Miles, Jr, and his wife Carolyn, and Ray Miles and his wife, Kay; two granddaughters, Felicia LaCraie Adams, and Leigh Robinson; three grandsons and their wives, Shalon and Tammy Miles, LaDane and Joy Miles, and Torrey and April Miles; nine great- grandchildren and two great-great-grandsons; one sister, Anne Ruth Bell; three brothers and sisters-in-law, Joe and Vondell Wilson, Rev. James Olen “Oley’ Wilson, Jr, and his wife Alleen, and David and Peggy Wilson. A host of nieces, nephews, other relatives, and friends also survive. A Celebration of Life for Nannie will be held on Friday afternoon, September 7, 2018 at 2:00 pm in the Church of God of the Union Assembly Sanctuary, 2211 South Dixie Hwy, Dalton, GA, 30720, with Pastor Stoney Kiser, her former pastor Rev. Charlie T Pratt III, and her son, Rev. Ray Miles, officiating. Interment will follow in West Hills Cemetery. The family will receive friends on Thursday evening for 6:00 until 8:00 pm at the Church of God of the Union Assembly. She will lie in state on Friday at the church from 12:00 noon until the service hour. Grandsons and great-grandsons (Hunter, Jaydon, Braiden, and Landon Miles) will serve as pallbearers. Honorary pallbearers will include granddaughters, great-granddaughters (Kayla Adams, Carleigh Adams, Kelsey Robinson and Emma Robinson) along with Tom Dyer, Landau Bright, Derek Bright, Brantley Wilson, Chad Wilson , and Casen Miles. You are invited to visit www.salmonfunerahome.com to share memories and post tributes.